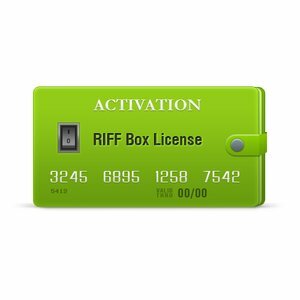 RIFF Box license activation allows owner of an unauthorized RIFF Box hardware to enable full functionality of original RIFF Box JTAG. It allows you to use JTAG Manager v1.58 software with ISP/Direct eMMC support *. Rename JTAG Manager v1.56, so you can continue using it if your account has expired. Backup "Useful plugins" folder content because old plugins are incompatible with new *exe, and old *exe is incompatible with new plugins. Old server will be online for some weeks, so users can get a license, if they need it. Convenient information presentation for specific eMMC chips: pinouts for testpoints, manuals how to use testpoints to resurrect dead eMMC, etc.. These INFO files (*.riffinfo) are stored in JTAG Manager's Documents folder and can be downloaded using generic "Check for Updates" operation. eMMC Firmware Reading option (firmware is stored in *.riffemmcfw format). Select a chip from the list in order to read the firmware. This is an initial guide for RIFF Box eMMC ISP/Direct functionality. This is not regular update, but rather a major upgrade. 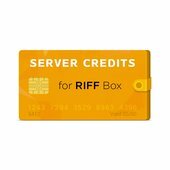 As such, it will come free for all new RIFF Box customers. RJ45 cable is required to connect RIFF Box to eMMC, as RIFF Box RJ45 port is used for this function. 2 x 100 Ohms resistors are required as pull up, to increase signal levels and improve stability. External source for VCC and VCCQ is required if you don't want to open your RIFF Box in order to connect RIFF Box internal VCC voltage source. There are some adapters on the market which offer this function. VCC pin is located on RIFF Box motherboard, bottom side. You can locate it if you check the picture below.